The government is considering offering tax incentives to the software exporters after the introduction of the Direct Taxes Code. The Telecom and Information Technology Minister Kapil Sibal has said that government may consider offering tax incentives to software exporters once the Direct Taxes Code (DTC) is implemented next year. 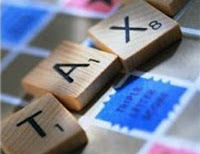 The Information Technology companies and ITeS firms use to get tax incentives in the Software Technology Parks of India scheme, however, which expired in last financial year. Meanwhile, the Draft National Policy on Information Technology-2011 was introduced, by which the government envisages the country’s software industry to generate nearly $300 billion revenue by 2020 compared to the current $89 billion. Currently, IT firms generate around four-fifth revenue comes from the exports. The draft policy seeks to provide support growth of indigenous market.